This year, we saw a talented crop of bright new singers burst onto the scene, staking their claim in country music. Together, these up-and-comers have dominated the charts, toured with country's biggest names, and have won over fans and critics alike with their fresh new music. 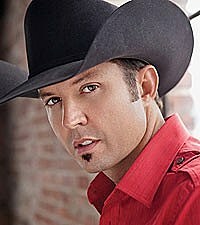 As 2010 draws to a close, The Boot spotlights some of country music's most promising new acts of the year. The Perry siblings, Kimberly, Reid and Neil, had been touring together for more than a decade before being discovered by Garth Brooks' manager, Bob Doyle. With their smooth, unique sound, this grassroots Alabama-bred trio bring a contemporary edge to modern country. Their country-pop debut, 'Hip To My Heart,' earned notable recognition but it's their chart-topping ballad, 'If I Die Young,' that's shifting The Band Perry's career to new heights. 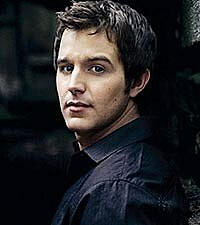 It was just last year that Steel Magnolia won CMT's singing competition show, 'Can You Duet.' Since then, Megan Linsey and Joshua Scott, who are also a couple off stage, became a triple threat in country music. With a CMA nomination, two hit singles ('Keep On Lovin' You', 'Just By Being You'), and an opening slot on Brad Paisley's H20 World tour, Steel Magnolia are still pinching themselves! 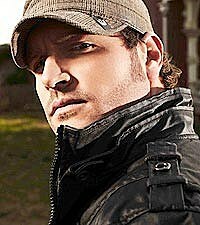 Although he'd tasted success as a songwriter, Jerrod Niemann spent most of the past decade trying to get his singing career off the ground. It was a roller coaster ride that took ten years, but the Kansas native finally made it happen for himself in 2010. With a No. 1 single ('Lover, Lover'), a No. 1 album ('Judge Jerrod And The Hung Jury' ), and a nomination for CMA New Artist of the Year as bragging rights, Jerrod has secured his spot as one of country's fastest-rising stars. Although she'd always had her sights set on a country career, Laura Bell first fell in love with Broadway. The Tony-nominated actress made her grand entrance into country music earlier this year with her catchy first single, 'Giddy On Up.' The boot-stomping ditty wrangled in country fans, while her risque, choreographed video for the song became an instant online sensation. Laura Bell's unconventional, split-personality double-disc, 'Achin' and Shakin',' soon followed. 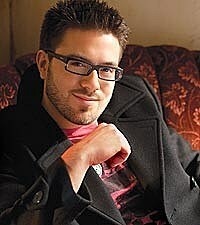 With his bluesy, smoky voice, Danny Gokey rose to fame during the eighth season of 'American Idol.' After placing third on the hit show, the 30-year-old church music director got the country bug and went straight to work on his debut CD, 'My Best Days.' The album landed at No. 3 on the charts, earning the Wisconsin native props for best first-week sales by a debut country male since Billy Ray Cyrus in 1992. Sunny Sweeney knew from a young age the she wanted to make people smile. 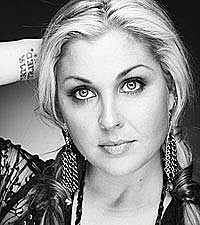 (And, with a name like Sunny Sweeney, how can you not?) The East Texas bombshell traded her dreams of becoming a comedian for a shot at country music stardom. With her thick country twang and heartfelt lyrics on songs like her chart-climbing hit, 'From A Table Away,' Sunny is shining a new light on traditional honky-tonk. One cool thing about Troy Olsen is that he really is a cowboy. Raised on a ranch in Arizona, Troy grew up "obsessed" with country music. Crediting Dwight Yoakam as one of his musical heroes and the reason he begged for his first guitar, Troy began touring when he was 17. With his debut hit, 'Summer Thing,' and songwriting credits on the 'Country Strong' soundtrack and Tim McGraw's latest CD, Troy is off to an impressive start. Joanna Smith is a true country girl, having grown up on a farm in Georgia, the 22-year-old drew her musical inspirations from strong female country icons such as Reba, the Judds, and Dolly Parton. With her first single, 'Gettin' Married,' a huge radio hit right out of the box, the sassy songstress is determined to realize her childhood dreams. 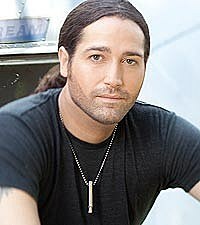 Josh Thompson grew up in Wisconsin, where he worked for his father's concrete business since the young age of 12. When he was 21, he got his first guitar and the rest is history. Having already toured with big names like Brad Paisley and Eric Church, the pony-tailed singer-songwriter is paving a path to success with his debut album, 'Way Out Here,' which has already spawned two Top 20 singles. She's a down-home Alabama crooner. 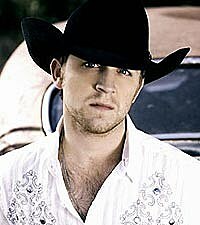 He's a soulful country rocker from Oklahoma. Together, husband-and-wife duo, Keifer and Shawna Thompson, make the perfect match as Thompson Square. Their tantalizing hit, 'Are You Gonna Kiss Me or Not,' instantly struck a chord with country fans and they'll showcase more of that same intoxicating chemistry in February when they release their debut album.